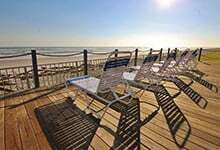 New Smyrna Beach is the coastal adventure you have been waiting for, filled with thrilling charter fishing and boat tours on the Atlantic, scenic coastal parks, impressive seafood restaurants, and boisterous events. Bask in the sprawling ocean views. Spot the dolphins. Catch a fish or two. What are some excellent charter boat tours to get you right in on the action of what makes New Smyrna Beach so special? Turtle Mound River Tours offer a 2-hour narrated boat tour that kicks off from the Canaveral Seashore National Park. This tour is sure to show you some of the turtles and other critters hiding in the shallow waters. You’ll also be sure to see lots of water-loving egrets and pelicans that are native to the New Smyrna Beach area. The trip is about two hours long, and the whole group is sure to enjoy sightseeing the waters of the Indian River Lagoon Estuary. You can choose from a public or a private tour when booking with Turtle Mound River Tours. You’ll also have the chance to learn about local history and ecology. The Turtle Mound River Tour is formally located at 859 Pompano Ave, New Smyrna Beach, FL 32169. 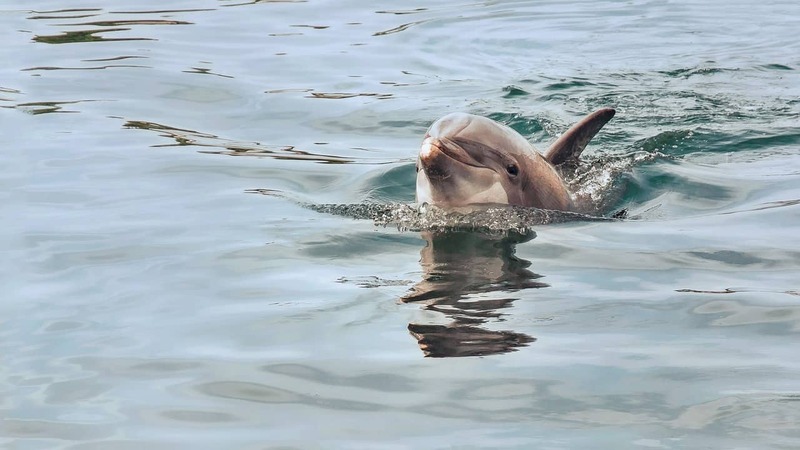 This is another family-oriented option for a top wildlife boat charter if you’re looking to see some of the marine wildlife that New Smyrna Beach has to offer. 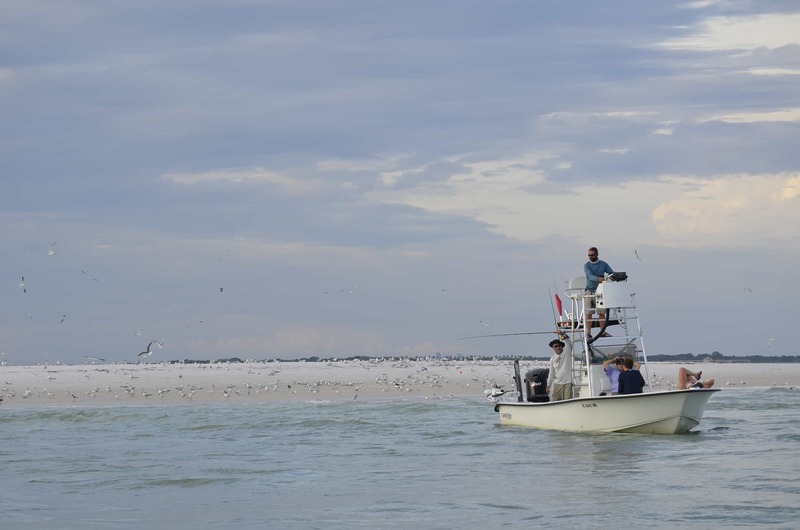 The tour is appealing because it is managed by the local Marine Discovery Center – a non-profit dedicated specifically to preservation and education about the Indian River Lagoon. You’ll cruise along the Indian River Lagoon on a relaxing pontoon boat for a fun and educational two-hour tour. A certified Florida naturalist gives you the rundown of what to keep an eye out for including dolphins, wading birds, majestic sea turtles, and even manatees. There’s also the option to choose the Dolphin Lighthouse Tour, which takes you on a similar adventure to the Ponce de Leon lighthouse and back. Other local tour options are available including a Sunset Boat Cruise, Full Moon Boat Tour and other customized tours. The Dolphin Discovery Tour is part of the Marine Discovery Center, located at 520 Barracuda Blvd, New Smyrna Beach, FL. You can choose from a intracoastal cruise, summer sunset cruise, or a charter cruise on the Manatee Scenic Tour Boat in nearby Ponce Inlet. The adventures are streamlined for them to handle everything so you can just lounge back and enjoy the views without getting your hands dirty. The waterways you’ll explore with this charter are known for abundant water life as well as views of historic waterfront homes. Take a cruise closer to the evening hours and you’ll be sure to see one of the gorgeous sunsets New Smyrna Beach is known for. They also offer a free snack and drink with every ticket purchase as a nice perk! This boat tour provider is located at 4884 Front St, Ponce Inlet, FL 32127. You can also choose a fishing charter as a family bonding experience with opportunities to learn and find fish you wouldn’t otherwise discover on a wildlife tour. The Fishing Guy Private charter is just one of the many local companies that offer this as an option. This is a fantastic pick for anyone who is looking to do some fishing rather than simply see wildlife – even though there is an excellent chance that you’ll spot dolphins or seabirds along the way. Choose from inshore, near shore, and deep-sea fishing to catch anything from redfish, cobia, tarpon, kingfish, and even sharks if you’re lucky. The Fishing Guy can be found at 1424 N Peninsula Ave, New Smyrna Beach, FL 32169. If you have any questions about these charter tours or are looking for some other things to do in New Smyrna Beach, give our office a call anytime at (386)478-7863. 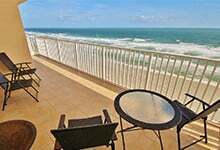 We can guide you towards a Florida oceanfront condo made just for you and your family.